Oil fell to a seven-month low near $91 a barrel on 23th May in Asia after Iran agreed to allow the U.N. nuclear agency to restart an investigation into the country's nuclear program. Benchmark oil for July delivery was down 57 cents to $91.28 a barrel at midday Singapore time in electronic trading on the New York Mercantile Exchange. The contract fell $1.01 to settle at $91.85 in New York on Tuesday. Brent crude for July delivery was down 55 cents at $107.86 per barrel in London. International Atomic Energy Agency chief Yukiya Amano said that his investigators will have access to Iranian sites, scientists and documents in an effort to ensure the Middle Eastern country isn't developing nuclear weapons. Iran insists its nuclear program is only for power and medical applications. The deal comes a day before talks are scheduled to begin between Iran and six world powers. 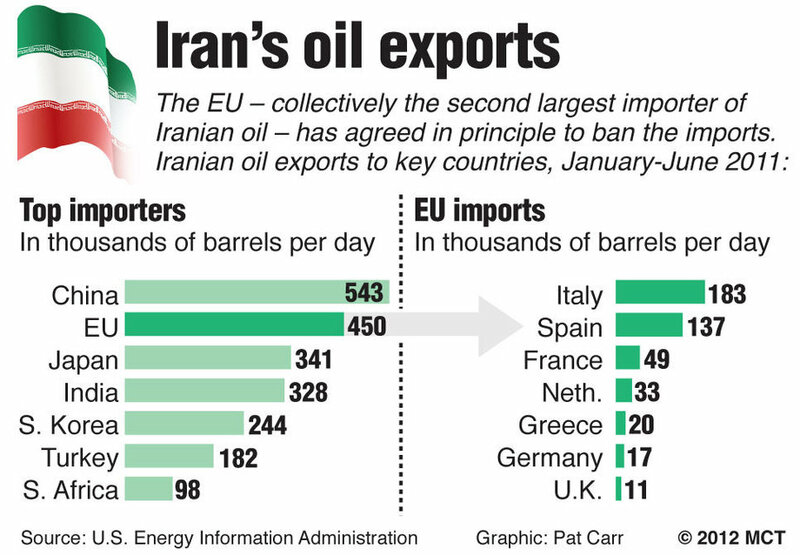 The U.S. and Europe have imposed sanctions against Iran that are restricting its oil exports and have threatened to tighten them in the coming weeks. Crude prices have plunged about 14 percent from $106 earlier this month as fears eased that the U.S. or Israel would launch a pre-emptive attack on Iran's nuclear facilities, a move that would likely disrupt global oil supplies and push prices higher. Signs of slowing economic growth and weakening crude demand in the U.S., Europe and China have also contributed to the fall in the crude price. Some analysts say oil should continue to drop as tensions in the Middle East lessen and demand remains subdued. "We still feel that fresh lows are likely," energy trader and consultant Ritterbusch and Associates said in a report. The latest U.S. crude supply numbers were mixed. The American Petroleum Institute said late Tuesday that crude inventories rose 1.5 million barrels last week while analysts surveyed by Platts, the energy information arm of McGraw-Hill Cos., had predicted an increase of 750,000 barrels. The Energy Department's Energy Information Administration reports its weekly supply data later Wednesday. In other energy trading, heating oil was down 0.1 cent at $2.86 per gallon and gasoline futures fell 0.5 cent at $2.85 per gallon. Natural gas slid 1.7 cents at $2.69 per 1,000 cubic feet.